Scroll down to view our entire list of product training videos and testimonials. You may also search by manufacturer in the drop down list below. Experience how Alto-Shaam separates itself from the competition. Collaborate with Chefs, Directors and others at this extremely informative 90 minute seminar in Rochester NY. Click on the CONTACT US tab above and send us an e-mail of your interest in participating. Come hungry as we Cook off tons of food in the Alto-Shaam gear. QuickChiller™ blast chillers can be used to chill virtually any type of food; from delicate vegetables and seafood to hearty roasts, and from dense sauces to casseroles. Intuitive user interface with 7" touchscreen control gives you precise, programmable consistency at your fingertips. Precise, low-temperature cooking with Halo Heat® technology perfected prime rib for decades. Free up time with overnight cooking for corned beef, confit and even yogurt. Cook your food to perfection and hold for hours without compromising food quality. No fans. No hood needed. Only big flavor and savings. Eclipse Side Post Umbrella - Top quality many advantages....Check this out! 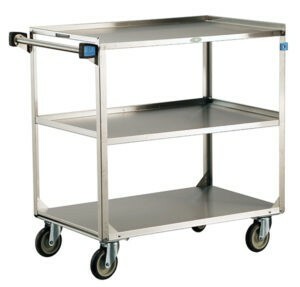 Easy to clean and operate, the Bus Trac conveyor from Avtec is ideal for soiled tray return in cafeterias of all sizes, and utilizes a vertical accumulation of between 2-5 tiers to form a buffer between the dining area and dish room. This innovative system features stainless steel baskets, carriers and uprights that are easily removed, as well as replaceable UHMWP side rails and a programmable automatic wash cycle. These compact, efficient and versatile undercounter dishwashing machines are perfect for bars, nursing homes, churches and other small commercial kitchens. We offer ENERGY STAR® qualified High Temperature undercounter machines and Low Temperature undercounter models that operate quietly with double-wall construction and feature door openings that can accommodate large wares and trays. Groen steam jacketed kettles set the standard for durable, efficient and uniform performance in commercial kitchens of all sizes with new electronic controls that allow operators to achieve more precise temperatures for maximum cooking consistency. Offering faster, energy-saving cook times in electric and gas configurations, Groen kettles make it easy to improve quality, lower costs and reallocate labor due to less “pot watching” and stirring. SmartSteam 100 Steamers With its connected boilerless design for full generator access and hassle-free auto fill-and-drain function, the SmartSteam 100 boilerless steamer from Groen is a truly high-performance commercial a la carte-style steamer capable of heavy-duty, high-production batch cooking. In today’s crowded market, it is unmatched in its versatility, ease of use, and water and energy savings. HyPerSteam Generator Steamers With independent steam generators and powerful internal convection fans that increase steam velocity for faster cook times, the Groen HyPerSteam and HyPlus Pressureless convection steamers are the capable, reliable answer for a variety of commercial kitchens. Groen’s innovative design allows operators to reduce energy costs by utilizing individual generators when needed during slower periods. Both the Classic and Advanced controls deliver precise temperatures to help kitchen operators improve their food quality and consistency while reducing labor and food costs. Designed specifically for commercial kitchen equipment, the control panel is IPX6 rated for water resistance, which provides greater reliability to minimize repair bills and other costs of downtime, including added stress, removing menu items and potentially losing current and future business. Available in a number of configurations and can consist of multiple freestanding ranges, rangetops and/or bases, plus 6" legs, casters or curb base Can be configured as a double-unit depth (back-to-back) or single-unit depth Rangetop (or combination) options: Patent-pending Sealed Burner Rangetops/Hot Plates Hot Tops Patent-pending French Tops Manual Griddles Thermostatic Griddles Patent-pending Charbroilers Planchas Worktops Base options: Patent-pending Standard Ovens. Available in a number of configurations and can consist of multiple freestanding ranges, rangetops and /or bases, plus 6"legs, casters or curb base Rangetop (or combination) options: Patent-pending Sealed Burner Rangetops/Hot Plates Hot Tops Patent-pending French Tops Manual Griddles Thermostatic Griddles Patent-pending Charbroilers Planchas Worktops Base options: Patent-pending Standard Ovens Patent-pending Convection Ovens Cabinet Bases Refrigerated Bases Freezer Bases. Powerful cast-iron lift-off burner systems providing 35,000 Btu/hour of cooking power Heavy-duty stainless steel burner radiant cone designed to dramatically increase efficiency and plate temperature – up to 970°F at the center of the ring Heavy-duty 3/8?-thick, fully welded steel plate for maximum heat retention and optimal temperature gradient Patent-pending Tri-Ferrous™ dual-ring inserts (2) centered (front-to-back) for maximum temperature gradient and removable for direct-flame cooking. Three front burners featuring a high-performance CircuFlame™ burner system Patent-pending combined ring at 30,000 Btu/hour for optimum cooking performance Cast-brass lift-off burner cap and base for easy cleaning Maximum burner turndown ratio from 30,000 Btu/hour at high to 1,500 Btu/hour for simmer Three rear burners featuring a high-performance sealed CircuFlame™ burner system Patent-pending single ring at 30,000 Btu/hour for optimum cooking and searing performance. InSinkErator Garbage Disposal is a must have for any food service industry, allowing for food waste including steak bones to be quickly and efficiently removed with this labor-saving, self-cleaning, environmentally sound disposer. Instant Warm Handwashing provides warm water on demand. The system is designed to promote the use of hand washing and hygiene in locations where employees need to wash their hands consistently and effectively. Want to speed up service? Just add hot water. Ideal for coffee, tea, soups and sauces, InSinkErator® hot water dispensers deliver up to 100 cups of near-boiling water per hour. Hot water on demand is an indispensible feature for coffee shops, restaurant kitchens, school cafeterias, food trucks, extended stay hotels, and independent living communities. Our dispensers improve staff efficiencies, reduce serving time, require no expensive pipe runs, and are easy to install. When dishwashing operators fall behind, so does operational efficiency. A door dishwasher can clean between 50-125 racks per hour depending on the model. A conveyor dishwasher can clean up to 400 racks per hour. Avoid a traffic jam at your dishwashing station with a system designed to simplify and speed up the pre-rinse and scrapping process. Mounting Adaptor Guide Adaptability is one of our best features. Our disposers include two types of stainless steel collar adaptors and a sink flange adaptor to accommodate any size sink opening. Use our handy chart to select the correct InSinkErator mounting adaptor. Fully programmable water saving control panel. AquaSaver® acts as an on-demand water saving system for InSinkErator® commercial disposer systems. The AS-101 senses the load of the disposer motor and regulates the amount of water necessary for grinding and non-grinding situations. From a minimum 24 sq. ft. size to the more elaborate 10,000 sq. ft. warehouses, Master-Bilt walk-in coolers, freezers and combos provide the right amount of temperature-controlled space. 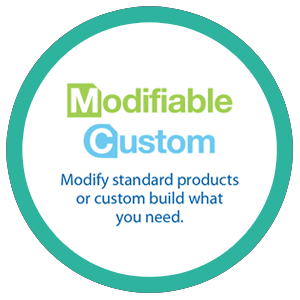 For rapid delivery, choose a Quick Ship or 10-Bilt™ model. Ready-Bilt™ models ship factory pre-assembled and, for a custom solution, there's the Bilt2Spec™ line. usion is a versatile line of equipment that fits workspace and budget needs while delivering on high quality. Products include reach-ins, merchandisers, prep units, chef bases, undercounters and bar equipment. The Signature Cocktail Station designed by Tobin Ellis and Manufactured by Perlick. Increase bartender efficiency and let the cash register ring. The secret is Power Soak’s patented parallel wash flow, which takes advantage of the natural scouring properties of turbulent water, heat and detergent — all working together to maximize cleaning power. And with a variety of sizes available, even custom configurations, Power Soak Generation 3 and 4 represent the ideal ware washing solution for any kitchen layout that would normally use a standard 3-compartment sink and/or traditional spray type utensil washer. Large K-12 School District's Food Service Directors Testimonial of their purchase of PowerSoak and Produce Soak sinks district wide. The Steril-Sil General Information video gives a fast overview of the company while calling out the key product lines. It's a quick way to get to know who we are. Did you know that we invented the silverware cylinder? That includes stainless steel, Nylon and colored plastic cylinders. And almost 80 years later, we are still innovating. The E1 Silverware Handling System saves an operator labor. The HKS series cantilever dispenser is a simple and elegant design making then an instant hit.